These camshafts are dyno and race proven. All profiles have a good balance between aggression and stability and can be used at very high RPM when combined with the correct valve train components. The VTEC ELIMINATOR cams are for serious top end HP only and must be installed by a professional engine builder. Street/Strip or circuit racing cam, needs ECU, compression, deep piston pockets, exhaust etc. Kelford valve springs are engineered to match this camshaft and should be used to ensure optimum performance and reliability. 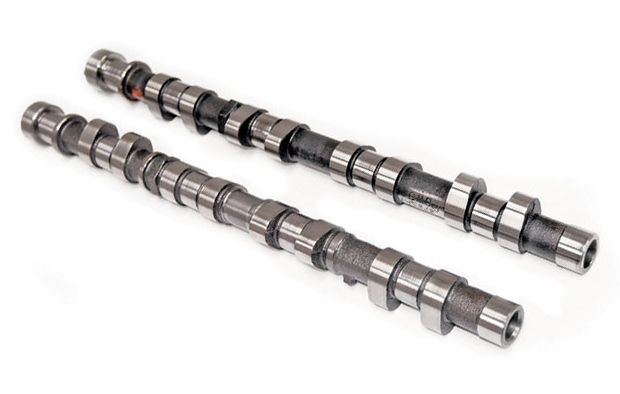 The additional parts listed also match this camshaft and can be used to further enhance engine performance. KVS121: Honda B16a/B18c VTEC high performance dual valve spring set, to work with stock retainers. KVS121-K: Kelford Racing valve spring set to suit Honda B16a/B18c. Dual valve springs and lightweight chromemoly retainers. Please select below.